Thursday's Lindy Jam was rocking with FOUR fabulous DJ's! Thank you Mitch, Mark, Cisco, and Anna for making the night so fun and memorable. In honor of the passing of legend Aretha Franklin (which we found out about in the morning), AD gave a tribute, we swung out, and each DJ played a song from her incredible oeuvre. Thank you Aretha for sharing your talent with the world and for fighting to make it a better place for everyone! As Summer draws to a close, we've said a lot of goodbyes, and we can't wait until we can see all of our friends together again. We hope that everyone has a great school year, and remember to dance as much as you can! There's one more Saturday left for Swinging August Nights 2018! 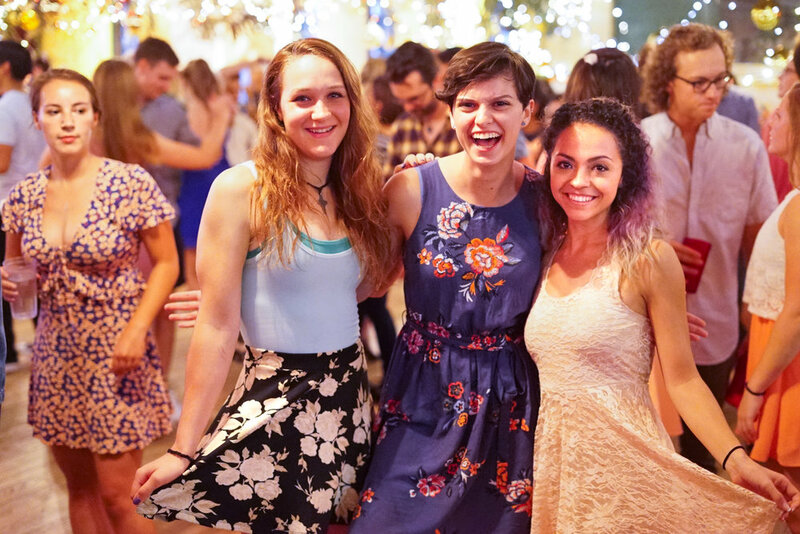 Don't miss out on the hula hoop, double dutch, and swing dance fun this August 25th in front of Coffee at the Point in the historic Five Points neighborhood. The Hot Tomatoes are playing, and it's FREE, so bring out your favorite dance moves for the (also free) dance contest and try to win some great locally donated prizes! Last week's prizes were Black Panther and Wonder Woman prints from the amazing local artist Chris Clark. Check out the performance by The Mercury Retros at last week's Swinging August Nights down below! The Mercury Retros perform at Swinging August Nights! Newer PostSwing Nights' Media Round-Up for the week of August 19th! Older PostAll of Swing Nights' Media for the week of August 5th!